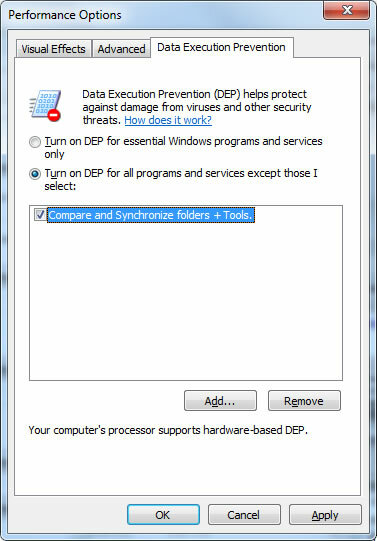 Select "Properties" and "System Protection"
Click on "Data Execution Prevention"
Check the box: "Turn on DEP for essential Windows programs and services only"
(If you want to use "Turn on DEP for all programs and services except those I select", then Add the program you want to run without DEP -the program you want to run-). 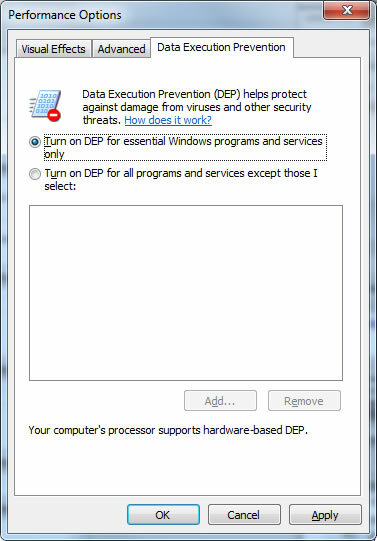 If Windows DEP is "Always ON", the "Data Execution Prevention" tab seems disabled. and then press Enter. 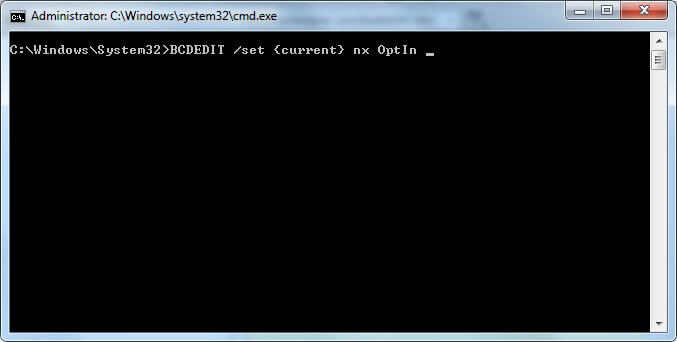 Restart computer to apply changes.